Discover two of Japan’s fairy-tale castles on this full-day tour from Osaka. 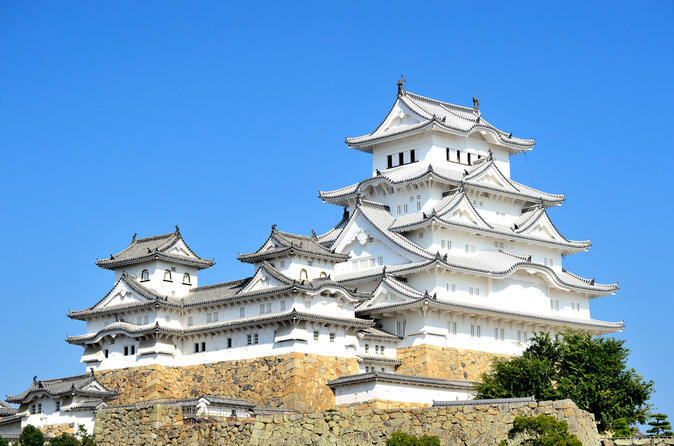 Marvel at Takeda Castle, the ‘Castle in the Sky’; explore the UNESCO-listed Himeji Castle; and admire the stunning scenery as you journey through Hyogo Prefecture. Lunch is available as an optional upgrade. Lunch is not included. Please prepare your lunch in advance or choose a tour option with lunch box. Please note that No lunch is provided for child (3-5 yo), even if you choose a tour option with lunch box.